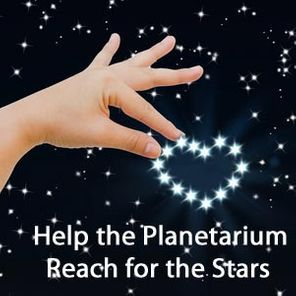 The planetarium has been run by volunteers since November, 1991. In June, 2011 The Friends of the Marie Drake Planetarium (FOMDP) was formed. It is a 501(c)(3). Paperwork was finalized in 2014. The purpose of FOMDP is to promote astronomy education in Juneau including promoting, using and upgrading the Marie Drake Planetarium. The board's primary goal is to raise funds for purchase of a new projector. The non profit status will assist with fundraising efforts. When the non-profit formed, the organization of planetarium remained as before: Presentations and events continued to be (almost always) free and are given by volunteers reflecting their diverse knowledge and interest in astronomy. A person must volunteer for at least a year before being becoming a board member. Feel free to contact any board members with questions, ideas, donations, etc. Feel free to contact any Board Member with questions, ideas, donations, etc. Donations large or small are welcome. You may also contact him if you have ideas for fundraising or grant sources.